Are you still using an email client program like Outlook? You can enjoy much more for less hassle with a web-based email account. It’s time to move on from a service that came with your Windows XP computer. We get loads of emails about problems with email client programs, like Microsoft Outlook, Outlook Express and Thunderbird, sent through to our Which? Computing Helpdesk. They’re often awkward to set up due to their many settings, with some broadband providers requiring things like SSL (secure socket layer) to be enabled. ‘What the hell’s that?’ I hear you cry – well there you go, that’s what I mean! Email client programs are needlessly complicated and unreliable. In fact, they can make your life a misery. These programs were created at a time when you were charged by the minute to be online, so it made sense to grab your emails as quickly as possible and get offline. But with broadband as it is now – this just isn’t relevant anymore. The good news is that there is an alternative – web-based email accounts. You don’t have to know about all the weird stuff going on under the bonnet – webmail just works and that’s what we want, isn’t it? Ceri Stanaway has already championed webmail services, like Hotmail and Gmail. But after over 1,500 votes, only a third of you said you used webmail as your main email account – worryingly over half admitted to using their internet service provider’s service (ISP). Yet, the good thing about webmail is that you can access it from any computer anywhere in the world. They can even come with other features, like storage for your music, pics and documents. Plus, Gmail has a great spam filter, so you’re not going to be bombarded with useless messages. Did you start using an ISP email account simply because they said it was free? Webmail’s free too! What’s the catch? Well you might have to put up with a few ads, but in reality they’re hardly noticeable, especially when Gmail’s ads only take up one line. Messages to our helpline have also told me that they use email clients because they want a copy of their emails on their computer. To them I say that this is just putting them in harm’s way. If you download emails to your computer, you’re putting them at risk of fire, flood and theft like everything else in your home. It’s much better to leave your emails on the internet where you can access them wherever and whenever you want. ‘But I want to back them up.’ Why? Webmail providers back up your emails every day -they wouldn’t be in business for very long if they didn’t. If your computer has a meltdown then all those downloaded emails will be gone. But with webmail you can just get on another computer and off you go again – they’ll all be there waiting for you. So why not throw off the shackles of email client programs like Outlook and get yourself a webmail account? Or are you happy with your out-dated attachment? John: re your comment of 27 April, I’m pretty sure anyone who started out with a Googlemail account was given the option of changing to Gmail once the legal case was settled (last year some time?) Also, was the May 2011 Computing Which report on webmail services compiled before Yahoo launched its latest version? I’ve tried it out and it seems at least as good (to me) as Gmail and Live Hotmail. It can certainly cope with other POP3 accounts (the item on page 54 of the May issue implies only Gmail and Hotmail can); I’m pretty sure whe you respond to such mail from Gmail, the latter stamps its SMTP address on the outgoing mail, thus confusing the recipient. I thought Yahoo’s interface more friendly that Gmail’s, too. Finally, John, you must be dismayed by the “voting” in response to your blog: we seem to cling to our email applications. To the person asking the Helpdesk for advice on a free email client this month, I wanted to shout “Thunderbird!”, but the Which response obsessively banged on about webmail. I use Thunderbird as an aggregator for my 23 email accounts. Now admittedly 23 email addresses is a lot. I actually surprised myself when I counted them, for the purposes of this post. I use Thunderbird because of it’s interoperability. Thunderbird offers a seamless solution for keeping on track my emails. Indeed so seamlessly that I didn’t realise that I had the number of email addresses I had. The great thing about Gmail is that it doesn’t recognise dots (.) or anything after a plus (+). So you can write your email as email@gmail.com or e.mail@gmail.com or even e.m.a.i.l@gmail.com or email+anythingyoulikehere@gmail.com. This means you can tag your emails when signing up for services you are unsure of. When you use Thunderbird and the like, you can use the reply to function to maintain this naming protocol. How odd that an ISP should recommend using a “free” email service. I use which.net since it does not, as far as I know, trawl my messages for keywords so as to send me unwanted advertising. However, as Which.net rather restrictive limits, and I do not trust the “cloud” or its owners, I also use Mozilla Thunderbird. This gives me all my emails on my machine, plus the last six months messages as webmail. I feel that anyone who uses “free” webmail, is simply selling their data (and that of their friends) to google, msoft, or whoever. I had outlook 2007 on my computer and was very happy with it. (seperate folders for goods purchased etc) Then my computer stopped playing for good. I now have another computer and the tech guy who set it up for me didn’t like outlook and installed Virgin media web mail. Now I have to supply a username and password every time I want to access my email account. Also when I tried to get information about my “clickfree” back up device on the web, I was informed that it could not supply the info, because it could no longer access outlook. I am now looking for a techie that is capable of installing my beloved outlook programme again. John, please, please try Thunderbird! You’ll forget all about Outlook in no time. A few years ago, on changing computer I moved from Thunderbird to Which webmail. First, I lost a few sent copies before finding that I had to request a copy for each message. After about a year, I discovered, to my horror, that all emails older than six months had been deleted. So I moved back to Thunderbird, while leaving messages on the webmail. As to loss of the computer, of course I back up (even if not often enough). As to Gmail and the like being wonderful and available for ever…when they suffer the equivalent of horsemeat in the burger, for the same reason – maximising profits above all else – I will still have my emails on my computer or backup. Finally, while not a superuser, it seems to me that clients have more functionality. On a quick search this morning I cannot find how to use squirrelmail to forward specific emails (specified by sender or subject) to an external address. I come to the discussion rather late in the day, but a lot of what I’ve read makes sense, especially for the more IT minded people. I have a Q about Apple MacBook users who are not technical wizards, as I have the Mail programme for Apple users (2008 version) and couldn’t see any Apple Mail users’ comments on this discussion page. I currently have a combined webmail & client email account provided by our ISP (Waitrose). This allows me to access mail from any computer as well as direct to my computer at home. It means a bit more ‘housekeeping’ i.e. regular deletion of messages in the webmail inbox as well as in my Mail inbox, but it’s been great for the last 7 years or so. Our household circumstances have changed recently and we want to have Internet and Phone (currently with BT) with one provider to get a better deal. The most important factors for us will be the quality of service provided by the technical support team – for general set up & in particular, ability to advise clearly on setting up non-Windows email accounts i.e. Apple-specific advice. Can anyone comment on their experience with BT or John Lewis (which is what we will have to switch to if we stay with them as our ISP and transfer the phone across to them too)? If you set Mail (the Apple email program) to leave mail on the server for a certain number of days, you will not need to delete messages from webmail because this will be done automatically after this time. You will still be able to view your messages from any computer, as long as they are not older than the time you have specified. You will still keep all messages on your MacBook. If you send email via webmail, messages will not be automatically deleted and this will still have to be done periodically. It should be very easy to set up your email with a new ISP. Essentially you have to change the sending and receiving addresses and put in the email address allocated by your ISP. When you are given the settings, I think you will find it very easy to set up your laptop. Gmail and Yahoo continue to go down hill, I finally made the choice to switch to paid email provider and came across thexyz.com. These guys migrated me over and the support has been terrific. I thought it was quite basic at first but there is a lot more too the email and apps than meets the eye. I highly recommend testing out other paid email providers rather that using free email. My name is capt shunmuganar from Malaysia and i have am running a shipping company and been using Out Look Express, Microsoft Outlook and out local government server mail and all of those are unreliable for me when there is a crash and virus attack and when recovering the lost mail are a trauma and out of 3 times i have lost all the mails and have to start all over again. Since 2006 i gave up all this OE/MO/Local servers and opened Gmail account and had 7500mails in INBOX/OUTBOX/ files and other’s till my bad day came on 7th Oct 2013 where hackers have hacked my account and all my emails have been missing including files. I have tried calling Google singapore who are totally not answering my call’s and email’s were send and no replies till this moment. on the 9thOct2013 i called to Google USA and Mr kenny gave me a link to complaint and was nothing happened. However one of my friends company IT dept guy’s found out my settings was changed and mails were transferred to yahoo account by the hackers by using similar email address. and i dont know any info on the yahoo mail details. Since i am not a IT man i am unable to trace the mails to recover back my mails. Since 8th Oct 2013 my company has stopped operations and unable to carry out my normal business. Relying entirely on webmail is REALLY BAD ADVICE! The problem is that you are totally vulnerable to all your emails disappearing one day, and there is absolutely noting you can do. (1) Never forget Jack Schofield’s second laws of computing (data doesn’t really exist unless you have at least two copies of it). If you only have the data in your webmail account you only have one copy. 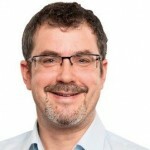 (2) Read Jack Schofield’s article about webmail Russian roulette http://www.theguardian.com/technology/2008/feb/14/email.yahoo. Sometimes the webmail provider may decide just to delete your account, either because of some obscure policy, or just because of some system failure on the part of the webmail provider. (You are not paying for the service, so you can’t expect any compensation, nor any great effort to retrieve you emails). >Finally, how certain are you that you’re willing to trust your data to the online services in the cloud? I don’t leave any information online that doesn’t also exist on at least one local machine that gets backed up daily. Yes, it took a bit of effort to set up an automated backup routine, and it takes a bit of effort to swap out backup drives when they get filled up. But I can access my files and my mail even if I can’t access them online for any reason. Before you rely on Web-based services for data that you can’t manage without, keep in mind that the cloud doesn’t always have a silver lining. Even if you think you have nothing valuable in your email, losing everything is very likely to be extremely inconvenient! Webmail is fine in emergencies. However, compared with LiveMail (my client of choice) it is cumbersome, slow & very limited on functionality. The immediate advantage that LiveMail has, of course, is the ability to sync multiple accounts at once. On WebMail it is necessary to LogOut of one, then LogIn to another, etc., and when, like myself you use a multitude of different accounts it’s just not a realistic option. The same goes for eMail alerts for Calendar dates. Also, if I have read eMails from WebMail it still shows up on my LiveMail. If I’ve read it on LiveMail, it’s like it never existed on WebMail. Some people do not want their information all over the internet and prefer to download their emails and work off line. Being FORCED to leave yourself wide open to hacking is an affront and those extolling the virtues of using webmail give me the impression that they are probably hackers and cannot be trusted. If only it was hackers who were looking at your emails Ged , I have a long list of “others ” who do. For those wanting privacy get end to end encryption that upsets the government using a neutral states servers that doesnt hand info over to UK/US sources and doesnt know the second stage of a two-stage security system . I keep one handy in case of emergency . At the moment my ISP/ my email service ( American based+server ) has full access to my emails –must bore the hell out of them. I do have other email services including Russian , as things stand due to HMG rhetoric just waiting to be called “subversive” . Any email service without a virus control built in is asking for trouble. Ged – I too prefer to download my emails, but they will also be on a server that could be hacked. Most email systems offer a webmail option so that you can access them from any computer. It’s right that I started using email clients in the days of expensive dial-up. If starting afresh now, I would probably use webmail. But switching is not straight forward because, over the years, I have built up a lot of folders (within Windows Live Mail) containing critical stuff (including legal, contractual etc) on behalf of various charities that I help. To lose all that would be an absolute disaster. But Which? advises that there are no webmail services which allow me to import all these old WLM folders. So looks like I’m stuck with WLM for then forseeable future. 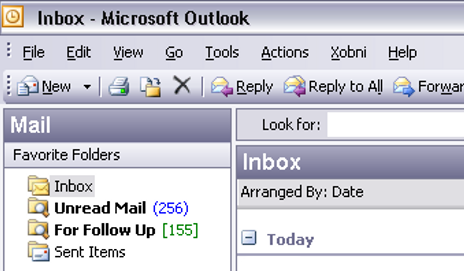 I still prefer Microsoft Outlook although my version, 2003, is now obsolete but it still works. Best thing about it is the spam filter , I can use Norton anti virus, unlike webmail – what spam filter do they use? As for my e-mail with my ISP – BT – the spam filter is a joke. I was using Outlook 2011 to access email on an Exchange server. Following an upgrade of the server software, Outlook has stopped working though I can still use it to access email using a POP account. We have just had both our btinternet email accounts deleted by BT without notice (long story). My wife was still on Outlook so has at least retained most of her records. Following similar advice to on here I moved my account to web based. I have lost virtually all my contacts and records. Well and truly stuffed! Andrew , this can happen when you dont have a BT account and only have a legacy account with the email service which is not really a BT email service but An American owned one provided fre as part of a BT bundle . If you are with another ISP for line and internet certain conditions apply . If this is not the case could you let me know ? BT,s American company are under no legal obligation to hold your data when you sever a broadband/line bundle with BT.